Though many people and astrologers in India are still relying on Gun Milaan alone for the purpose of Match Making and accordingly they are bothered the most by the defects like Nadi Dosh and Bhakut Dosh, there are some other factors which are being considered by many astrologers in the process of horoscope matching and accordingly there are more misconceptions being born due to misunderstanding or incomplete understanding of these concepts by some astrologers and people interested in astrology. One such concept which carries weight in the process of match making is the placement of natural malefic or cruel planets in the houses of the horoscope which are related to marriage or the fruits of married life. 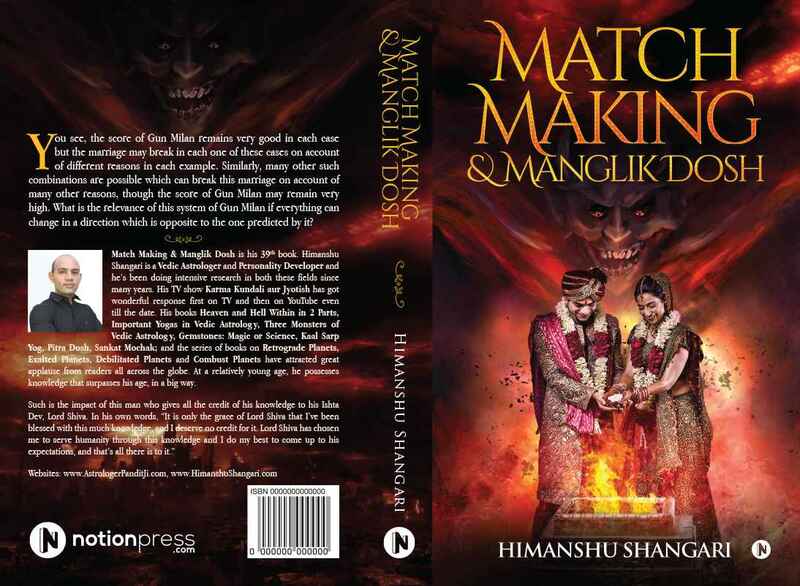 The placement of these so called natural malefic and cruel planets in the houses related to marriage and married life in a horoscope and their commonly believed bad effects on the marriage and married life of the native is the topic of discussion for this article. I will cast light on some commonly believed misconceptions related to the placement of such planets in the houses related to marriage as well as the actual and practical scenario arising out of these placements in certain specific houses of a horoscope. To start with the discussion, the placement of Rahu, Ketu, Saturn or Mars in any of the houses signifying marriage and married life in any of the horoscopes under consideration for match making is considered very bad for marriage and married life according to a particular group of people and astrologers who believe that as these planets are Malefic and Cruel planets, so their presence in any of the house signifying marriage or fields related to marriage in a horoscope is very likely to affect the marriage and married life of the native in a negative way. For example, any one or more than one of the planets Rahu, Ketu, Mars or Saturn placed in 7th or 8th house of a horoscope is considered very bad by many people and astrologers and it is thought that such a placement of one or more of the above mentioned planets will bring serious problems in the married life of the native which usually include very disturbed marriage, separation or divorce, serious medical problems or injuries to the partner and death of the partner of the native. This again is nothing but a misconception as this statement is incomplete and does not hold true in all the cases of match making and is applicable only to some specific cases of match making. Analyzing this misconception further, we know that there are only twelve houses in a horoscope and accordingly each one of the planets has to be placed in one out of these twelve houses and as there are only nine planets and four out of them are considered very bad for marriage and married life when placed in some particular houses of the horoscope which are related to marriage and married life, so the percentage of people having one or more of these planets placed in certain specific houses is again very high. For example, every third person on an average is having Rahu or Ketu placed in 7th or 8th which are considered as the two most important houses in a horoscope for analyzing marriage and married life. As there are only twelve houses in a horoscope, so the placement of any one of Rahu or Ketu in 7th or 8th house means that Rahu and Ketu occupy 4 houses of the horoscope which in simple language means that if any one of Rahu or Ketu is placed in 1st, 2nd, 7th and 8th house, the above mentioned placement takes place because of the fact that Rahu and Ketu are always placed exactly opposite to each other and placement of any one of them in the 1st or 2nd house will simply mean the placement of the other one in the 7th or 8th house respectively. This again leads to the conclusion that 33% of the people are having this defect and should witness very serious problems in their married life, a few of which are mentioned above. Moving on to Saturn and Mars, it can be easily calculated that each one of them is likely to be placed in 7th or 8th house of a horoscope in one out of six horoscopes as they have to be placed in one out of the twelve houses available and the chances of them being placed in two specific houses out of the twelve houses will be about 17% for each planet. Combining such placements of Saturn and Mars with the similar placements of Rahu and Ketu in a horoscope, it can be concluded that more than 50% of the horoscopes will witness the placement of one or more of these planets in either 7th or 8th house of the horoscope, which means that half of the world’s population should face very serious problems in their married lives which also includes divorces and deaths of the partners due to the above mentioned placements of Rahu, Ketu, Saturn and Mars in their horoscopes. And as we can see that this is clearly not the case because such a high percentage of high quantum problems are not observed in the married lives of the people, Which means that the theory attached to the placement of one or more of these four planets in the houses signifying marriage is not complete and is a misconception in its present form and needs some modification. In my personal experience and practice, any one of these four planets placed in the houses signifying marriage or married life will bring bad results only if it is working negatively in a horoscope and making some kind of defect with its house of placement. And even if one or more than one of these four planets are working negatively in a horoscope and making defects, the strength of the defects made by them and the other factors in the horoscope which can reduce or balance out the bad effects of these placements and defects should be considered properly before jumping to any conclusions. And let me finally add here that any of above mentioned four planets can bless the native with very good results in married life if it is working positively in his horoscope and making some kind of positive yoga with its house of placement. So the nature, strength and other important factors regarding these planets should be analyzed properly before reaching to any conclusions. To conclude the discussion, do not lose heart merely due to the fact that one of these four so called malefic planets is placed in one of the houses which are related to marriage and married life. Have an expert opinion and you might be surprised to find a Manglik Yoga instead of a Kuja Doshaa in your horoscope due to the placement of Mars in one of the houses related to marriage and married life. In the previous article of this section, we discussed some misconceptions related to the placement of some malefic planets like Saturn, Mars, Rahu and Ketu in some specific houses related to marriage and married life in a horoscope and we found out some interesting facts about the actual impact of the above mentioned malefic planets on the marriage and married life of a native. Moving on with the same concept, there is another side of this theory which is considered exactly opposite to the first set of belief and which interestingly brings to light, some more misconceptions related to this theory. Some astrologers and many people interested in astrology believe in this theory and according to this theory, the placement of the natural benefic planets like Jupiter and Venus in some specific houses related to marriage in a horoscope blesses the native with very good marriage and married life. People strongly believing in this theory will even overlook a couple of other defects present in the horoscope if they find such placement of Jupiter or Venus in some specific houses related to marriage due to the reason that they believe that the mere presence of these natural benefic planets in certain specific houses of a horoscope is more than sufficient to bring about very good results related to marriage and married life and the native is likely to have a very good married life even if the presence of one or two defects is witnessed in the same horoscope. And though the results of such placements of Jupiter and Venus in a horoscope are very pleasant to read and hear, they are not found to be true many times in actual practice and the situation can be quite the opposite in some of the cases which again means that like the previous theory of placement of Malefic Planets, this theory is also incomplete and impractical if taken exactly according to its prevalent definition and it needs modifications and application of certain conditions in order to hold good. For example, the placement of Jupiter or Venus in the 7th house of a horoscope is considered to be the best for marriage and married life according to the astrologers and people believing in this theory and such a placement according to them is an ultimate bliss for the married life of the native having such placement in his horoscope and his married life is not likely to be disturbed much even if there is something otherwise wrong in their horoscope. But this picture is not so rosy in actual practice and the placement of Jupiter or Venus in the 7th house or any of the houses related to marriage is also capable of causing mild to very serious problems in the married life of the native having such placement of Jupiter or Venus in his horoscope. In my practice and experience with my clients, I have seen the marriages collapsing, people getting married twice or more than twice and divorces being filed in courts and many other kinds of litigations being filed against each other primarily because of the placement of one of these two planets in the 7th house or other important houses related to marriage and married life in the horoscope of one of the partners. And the reason for such bad things happening to the natives having such placements of so called benefic planets is that these planets were working strongly negatively and were making some kind of serious defects with their houses of placement and as a result of which the natives suffered many kinds of problems in their married life, a few of which have been mentioned above. Quoting one of the cases here, one of my clients approached me for horoscope consultation about six months back and the first thing I asked him after analyzing his horoscope was, “ Are you married?”. The client answered in a yes and told me that he had got married just about 6 months ago and the next question I asked him was, “ Is your marriage surviving or has it broken already, as your horoscope is showing serious concerns related to your married life and the presently running time is also indicating some serious problems related to your marriage”. The client again replied in affirmative and told me that his marriage has been going through turmoil right from the first day and his wife has filed a police case against him, which has affected the reputation of the entire family very badly and he is now trying to find some remedy which can help him get a peaceful divorce. As this client had already shown his horoscope to 3-4 astrologers and most of them blamed his situation on the placement of Saturn in the eighth house of his horoscope, so he asked me as to what was the astrological reason for his suffering in the marriage as I was the only astrologer according to him, who had told him straight away that he must be going through serious problems related to his married life. So he believed that I must know the actual cause of his suffering. And he was shocked to hear me when I told him that the placement of a strongly negative Jupiter in the 7th house of his horoscope is making a serious defect and this defect is causing serious problems in his married life which are very likely to lead to a divorce taking the presently running time in to account. He instantly said that most of the astrologers who analyzed my horoscope before marriage told me that I would lead a very happy married life due to the placement of Jupiter in the 7th house of my horoscope and he was surprised again when I told him that the placement of Saturn had nothing to do with the problems in his marriage and Saturn is keeping silence in the whole affair. By God’s grace and with the help of certain guided remedies and gemstones, this client has now got a divorce and is looking to marry again in the coming future. So it is again of prime importance to study the true nature and strength of a planet placed in any particular house related to marriage, and to analyze the overall tone of the horoscope which includes the formation of other good or bad yogas or defects in the horoscope that can affect the native in a positive or negative way. Mangal Dosha in 1st House of Horoscope : Mangal dosh formed by a malefic Mangal present in 1st house of a horoscope is known as Kuja Dosha and the malefic effects of such Mangal dosh have been discussed in the article named Kuja Dosha in 1st House. Mangal Dosha in 2nd House of Horoscope : Mangal Dosh formed by a malefic Mangal in 2nd house of a horoscope is known as Kuja Dosha and the malefic effects of such Mangal dosh have been discussed in the article named Kuja Dosha in 2nd House. Mangal Dosha in 3rd House of Horoscope : Mangal dosh or dosha formed by a malefic Mangal present in 3rd house of a horoscope can trouble the native with problems in his professional sphere and accordingly the native under the strong influence of such Mangal dosh face many kinds problems in their professional spheres which may include losses, tensions, backbiting, arguments, conspiracies and other such things. Mangal dosh in 3rd house of a horoscope can also make the native suffer from problems in relations which are generally caused due to argumentative and aggressive nature of these natives and accordingly such natives may have to face spoiled relations with their brothers, sisters, friends, colleagues, lover, wife and other people. Mangal dosh in 3rd house can also make a person violent and accordingly such natives can be found engaging in physical violence and fights more often than the other natives and some of these natives may have to lose their jobs, they may have to face a court case and a jail time or they may have to face serious professional losses due to their aggressive and violent nature. Mangal Dosha in 4th House of Horoscope : Mangal Dosh or dosha formed by a malefic Mangal in 4th house of a horoscope is known as Kuja Dosha and the malefic effects of such Mangal dosh have been discussed in the article named Kuja Dosha in 4th House. Mangal Dosha in 5th House of Horoscope : Mangal dosh or dosha formed by a malefic Mangal in 5th house of a horoscope can cause problems related to the higher education of the native and accordingly the natives suffering from this type of Mangal dosh are either not able to achieve any higher education at all or they may have to go through many hurdles and problems in order to complete their higher education. Mangal dosh in 5th house of a horoscope can also cause problems related to child birth and accordingly the natives under the strong influence of this type of Mangal dosh can face many kinds of problems related to child birth. For example, some natives suffering from this Mangal dosh may have to wait for a long time or a very long time in order to give birth to their child whereas some other natives may not be able to produce a child at all even after the best of medical treatment. This kind of Mangal dosh in the horoscopes of females can cause some very serious kinds of problems related to child birth, like this Mangal dosh can cause abortion in some cases, poisoning in some other cases, the birth of a dead child in some cases and the death of both mother and child in some extreme cases. The females having Mangal dosh in 5th house of their horoscope generally go through much pain and medical treatment in order to deliver their babies and many of these babies are delivered through operations or cesareans. Mangal Dosha in 6th House of Horoscope : Mangal dosh or dosha formed by a malefic Mangal in 6th house of a horoscope can trouble the native on account of some of the most serious diseases and the natives suffering from this type of Mangal dosh may have to undergo many surgeries in their lifetime due to these diseases and in some extreme cases, the native suffering from such a Mangal dosh may die due to some fatal disease. Mangal dosh in 6th house of a horoscope can also cause serious problems related to professional and financial sphere of the native and the natives under the strong influence of this type of Mangal dosh are usually seen suffering from bad financial situation and debts for a very long period of their lives or throughout their lives. Mangal dosh in 6th house of a horoscope can also give bad or very bad results through court cases, litigations and other such things and accordingly the natives under the strong influence of this type of Mangal dosh may have to face more than one court cases, police complaints, lock-ups, jails, defame, disgrace and many other similar kind of things and in some extreme cases, the natives under the strong influence of this type of Mangal dosh may have to suffer very big financial losses due to a court decision or they may have to spend many years of their life in jail, again due to a court decision. Mangal dosh in 6th house of a horoscope can also trouble the native on account of conspiracies and problems which are created by his enemies and rivals and in some cases, the native may have to suffer from a physical assault by his enemies. Mangal Dosha in 7th House of Horoscope : Mangal Dosh formed by a malefic Mangal in 7th house of a horoscope is known as Kuja Dosha and the malefic effects of such Mangal dosh have been discussed in the article named Kuja Dosha in 7th House. Mangal Dosha in 8th House of Horoscope : Mangal Dosh formed by a malefic Mangal in 8th house of a horoscope is known as Kuja Dosha and the malefic effects of such Mangal dosh have been discussed in the article named Kuja Dosha in 8th House. Mangal Dosha in 9th House of Horoscope : Mangal dosh or dosha formed by a malefic Mangal in 9th house of a horoscope is a type of Pitru Dosha as such a mangal dosh also forms Pitru Dosha in the horoscope which can trouble the native with various kinds of problems depending upon the strength of such Mangal dosh or Pitru Dosha in the horoscope and the overall horoscope of the native. Mangal dosh in 9th house of a horoscope can cause serious delays, losses and setback in the professional sphere of the native and the natives suffering from this type of Mangal dosh may have to spend a very big part of their life waiting for good events and some of these natives may not witness significant good events, throughout their lives. Mangal dosh in 9th house of a horoscope generally does not let the native rise above a certain standard or level and the natives under the strong influence of this type of Mangal dosh are often seen restricted in many spheres of their lives. Mangal Dosha in 10th House of Horoscope : Mangal dosh or dosha formed by a malefic Mangal in 10th house of a horoscope can cause serious problems related to the profession of the native and accordingly the natives suffering from this type of Mangal dosh may have to face delays, losses, frauds, court cases and many other kinds of problems related to their professional sphere. Mangal dosh in 10th house of a horoscope can also develop criminal tendencies in the native and accordingly the natives under this specific influence of Mangal dosh engage in criminal professions and some of these natives can be seen practicing as murderers, assassins, gangsters, kidnapping mafia, arms dealers, terrorists and people working in terrorist organizations, explosive experts, human bombs, suicidal squads and many other kinds of criminals which generally deal with weapons, fights and wars. Mangal dosh in 10th house of a horoscope can make the native spend a long period of time in jail and it can also cause serious physical injuries to the native due to his involvement in criminal activities and as a result of gang war or police encounter and in some extreme cases, such natives may die in a shootout or they may be murdered by their enemies. Mangal Dosha in 11th House of Horoscope : Mangal dosh or dosha formed by a malefic Mangal in 11th house of a horoscope can cause serious financial losses to the native and the natives under the strong influence of this type of Mangal dosh may have to face sudden and unexpected losses through their profession, accidents, diseases and other such things. Mangal dosh in 11th house of a horoscope can also develop the habits like gambling in the native and accordingly some natives under the strong influence of this type of Mangal dosh can lose a considerable amount of money and wealth in gambling, stock market, lotteries and other such kind of practices. Mangal dosh in 11th house of a horoscope can also create criminal tendencies in the native though such criminal tendencies are likely to be weaker compared to those given by Mangal dosh in 10th house and accordingly the natives under the strong influence of this type of Mangal dosh can engage in criminal professions of comparatively smaller scales or such natives may be indirectly dealing in crime which means that they may not be directly doing criminal activities but they may be involved or in touch with some criminal groups or organizations. Mangal dosh in 11th house of a horoscope can also make the native spend a considerable part of his money towards the treatment of diseases, court cases or towards unwanted expenses and some natives under the strong influence of this type of Mangal dosh may have to face serious financial crisis, more than once in their lives. Mangal Dosha in 12th House of Horoscope : Mangal Dosh or dosha formed by a malefic Mangal in 12th house of a horoscope is known as Kuja Dosha and the malefic effects of such Mangal dosh have been discussed in the article named Kuja Dosha in 12th House. The transits of different planets in different signs have always been given a great importance in astrology. Many people who believe in astrology think that the transit of a particular planet in a particular sign is the most important factor in predicting their future. And there are some astrologers also who think and preach that the transits of the different planets in different signs is the foremost thing that is going to decide the fate of the people. And therefore they make the people coming to them believe that a planet which is not associated with good results in a particular sign is supposed to be negative for everyone while on the other hand a planet associated with good results in a sign is supposed to be positive for everyone. For example, Saturn transiting Leo is considered bad for everyone by these astrologers, irrespective of the other facts present in the horoscope and Saturn transiting Libra is considered very good for everyone as it becomes exalted in Libra. So it is thought by these astrologers that everyone will be blessed with this transit irrespective of the other facts present in the horoscope. And accordingly these astrologers believe that the people having the placement of Saturn in Leo sign in their birth charts or horoscopes will face the negative effects of Saturn throughout their lives while the people having the placement of Saturn in Libra sign in their birth charts or horoscopes will be blessed with the good effects of Saturn throughout their lives. This is just a misconception in my opinion and there are no solid grounds or facts to support it, because if the transit of a particular planet is good or bad for everyone, then all the people in the world should be living the same lives, as all the planets are transiting some particular sign at a given time all across the world. So the good or bad results should be the same or similar for all the people across the world, which has clearly never been the case and it will never be. For instance, the recent transit of Saturn in Leo was supposed to give very bad results to everyone according to the belief of some astrologers and some people interested in astrology. But it has not been the case as many people have made fortunes in the past 3 years. And while there are a number of people who may have lost fortunes during this transit, there are also many people who have prospered during this time and have made assets of worth Millions or even Billions. So clearly people are able to hit good fortunes even during the worst signs of transits for the planets which makes us believe that the good or bad results of a planet cannot be predicted on the basis of transits alone and there are other more important aspects present in the horoscope of every individual which need to be analyzed before predicting the nature, timing, strength and field of impact of the transit of a planet in a particular sign. And similarly the theory of transits does not hold good in case of natal charts or birth horoscopes as the fastest planet to move in a horoscope is the Moon and even this planet takes two and a half days to move out of a sign, which suggests that all the people born during those two and a half days should lead the same or the similar lives as all the planets are present in the same signs for these people according to the theory of transits. Which is again not the case because people across the world have different lives even with a difference of two minutes in their time of birth, because even a difference of two minutes changes the possibility and strength of many good and bad yogas in a horoscope. So the complete horoscope should be analyzed to predict the nature, strength, field of impact and timing of impact, of a planet in a transit as well as in a birth horoscope. Saturn may give very good results even when it is placed in Leo and on the other hand I have seen many horoscopes with Saturn in Libra or Aquarius, and the natives are suffering terribly from diseases, failures, disturbed marriages or no marriages at all and other setbacks due to the bad effects of Saturn placed in these signs. So predicting the good or bad effects of a planet only by seeing its placement in a particular sign either in birth horoscope or in transit is not a good idea and should be avoided. And then there is one more belief followed by some astrologers that all the good or bad results of a planet, transiting a particular sign, start with the planet entering that sign and continue till the planet leaves that sign and enters the next one. For example, the bad effects of Saturn in Leo for a person would start from the day it enters the Sign and continue till Saturn leaves Leo and enters Virgo. Which is again not the case, and most of the good or bad effects of a planet transiting a particular sign are observed only during 20-25% of the transit and not more than that. And though some general changes may keep on affecting the person positively or negatively throughout the transit, but these are comparatively minor changes and do not qualify as major good or bad effects. The major positive or negative effects of a planet transiting a sign, the field of impact of those effects, the strength of those effects and most importantly the timing of those effects can be predicted accurately only after analyzing the complete horoscope and not the planet in transit alone. For example, the positive or negative effects of Saturn transiting Virgo would be seen by different individuals at different times and with different strengths depending upon the placement of Saturn in their birth horoscopes and the other important aspects in the horoscope which may influence the good or bad effects of Saturn positively or negatively. The effects and timings of this transit would be different for people with Saturn placed in Aries in their birth horoscopes and the people with Saturn placed in Virgo in their birth horoscopes. And even in case of people who have the placement of Saturn in Virgo in their birth horoscopes, the effects would differ depending upon the placement of Virgo sign in the birth horoscope, good or bad aspects received by Saturn, the nature and strength of those good or bad aspects and some other important factors in birth horoscope as well as in transit. And the timing of these effects would also be different even for the people with Saturn in Virgo in their birth horoscopes depending upon the complete analysis of the horoscope. Therefore it is not correct to predict the good or bad effects of a planet transiting a particular sign, just by looking at the planet and the sign alone and ignoring the other important details in the horoscope of the native who is going to feel the impact of the transit. More and more people are taking interest in astrology and an increasing number of people are benefiting from various forms of astrology, whether it is Western astrology, Vedic astrology of India or any other form of astrology. Though the life predictions of a native should be the same according to all major forms of astrology, but still there is a big difference in the principals and patterns followed by various forms of astrology and Vedic astrology which is also known as Vedic Jyotish, has a place of its own among various available forms of astrology and it is only due to sustained and practical readings, predictions and results delivered by the readings and remedies of Vedic Jyotish that more and more people of the world are taking interest in Vedic Jyotish. The number of my foreign clients and readers has considerably increased in the past couple of years and I am now interacting with many more foreigner clients and readers than I did a couple of years ago. Most of these clients have been referred by some of their known or relative who has already benefitted through Vedic Jyotish. Many of these clients, particularly the ones who have already tried western astrology or some other form of astrology, get confused when they have first chance to interact with Vedic Jyotish and they are also confused by the kind of importance given to navagraha and particularly to Rahu and Ketu which do not have any effect on our lives according to some other forms of astrology and hence these forms of astrology do not consider Rahu and Ketu in horoscope making and predicting events from horoscopes. On the other hand, some forms of astrology take planets like Pluto, Neptune and Uranus into consideration to predict the fate of people as the astrologers practicing in these forms of astrology believe that these planets are physically present in our solar system and hence they should also affect the lives of people on earth like other planets do. And as the difference of opinion among Vedic Jyotish and other forms of astrology continues to exist, we will try to find out as to what makes Vedic Jyotish different from the other forms of astrology and what are the reasons and logics behind some strange looking assumptions of Vedic Jyotish and why are navagraha important in Vedic Jyotish. First of all, let try to understand the relevance and importance of navagraha in Vedic Jyotish because without understanding the importance of navagraha, the importance of Vedic Jyotish cannot be understood properly. Vedic jyotish relies on navagraha alone when it comes to the planets which can make or break the fate of a native and these navagraha or nine planets are Sun, Moon, Jupiter, Venus, Mars, Mercury, Saturn, Rahu and Ketu. Western astrology as well as some other forms of astrology are of different opinion when it comes to assign importance to the planets which can influence a person’s horoscope as well as his life. For example, some other formats of astrology assign importance to the study of some other planets which do not come under navagraha like, Naptune, Uranus and Pluto because the astrologers practicing in these formats of astrology believe that any planet which is physically present in our solar system, can affect the life and fate of a native living on earth and hence this planet is likely to have influence in his horoscope and accordingly it should be studied in order to make predictions from a horoscope. There is also a divided opinion among astrologers practicing in some other forms of astrology when it comes to the influence of Rahu and Ketu in a horoscope which are considered as shadow planets by vedic Jyotish as they do not possess physical properties like mass etc. and which are considered as very important planets in deciding the fate of a horoscope according to Vedic Jyotish. Some other forms of astrology on the other hand, believe that only those planets can affect the life of a native on earth which have physical properties like mass and the planets like Rahu and Ketu which do not have any of these physical properties cannot make any difference in deciding the fate of a native living on earth and this is the reason for which some forms of astrology do not study the influence of Rahu and Ketu in a horoscope as they believe that all the physical planets must have some influence on the horoscope of a person living on earth whereas shadow or non-physical planets should not have any significant influence on anyone’s life and horoscope. Vedic Jyotish, however takes a different approach towards things when it comes to making and predicting a horoscope. Vedic Jyotish believes that just because a planet is physically present in our solar system does not mean that it must affect the life and fate of every individual on earth. For example, we are living with many people who are present in our neighborhood, towns, cities and countries but all of them are not making difference in our lives whereas some of these people are very important to us and they can definitely make a difference in our lives. A neighbor who has been living next door to us for many years may not be important for us at all whereas someone else who is living thousands of miles away from us may be one of the most important persons of our life. Similarly, we are not influenced by physical things only but we are influenced by seemingly non physical things also and it is interesting to note that sometimes the influence of some physical things on us is almost ignorable whereas the influence of some seemingly non physical things can be very strong on us. For example, we come across many physical things including people, on daily basis but not many of them are capable of making an impact on us whereas some phenomenon like God whose physical presence has not been witnessed by most of us, still make a big impact in shaping up our personalities and beliefs and in shaping up our fates. Vedic Jyotish is of the view that, any planet will not be capable of affecting our lives and horoscopes just because of the reason that it has physical properties and it is present in the same neighborhood in which some other planets which are considered important, are present. 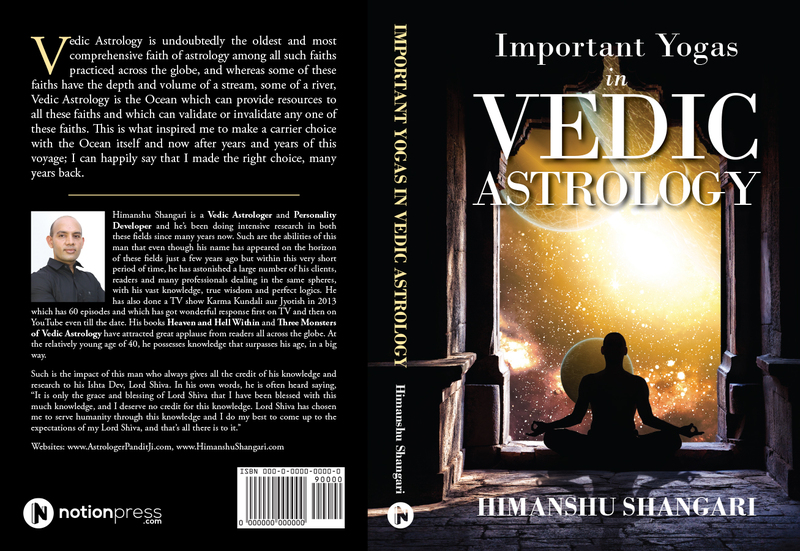 The ancient sages and seers of Vedic Jyotish were very wise and they knew how to separate important from unimportant and that is why they chose the presently prevalent navagraha for making and predicting horoscopes as they believed that planets among navagraha are the only important planets when it comes to making and reading horoscopes. It should be noted here that recently found planets of our solar system which have now been introduced to horoscope making by some forms of astrology, have only been recently found by our astronomers but they have not been recently born or formed. It is very likely that the ancient vedic astrologers of India had already known about these planets and they had intentionally not included these planets among navagraha knowing that these planets are not capable of causing any significant impact on our lives and horoscopes, even though they have physical properties and that is why these planets were excluded from navagraha. On the other hand, there are planets like Rahu are Ketu which have been included by vedic jyotish among navagraha and which are still a mystery for many astrologers practicing in other forms of astrology which is not a surprise because Rahu and Ketu are known as the planets of Maya or illusions in Vedic Jyotish and they are likely to confuse people and astrologers as well. Vedic Jyotish believes that just because we cannot see these planets and just because we cannot attach any physical properties to these planets, does not mean that Rahu and Ketu cannot impact our lives and horoscopes. Vedic Jyotish believes that the universe is full of strange, surprising and mysterious things and anything can happen in this universe and therefore, what is visible, may not be important whereas what is not visible or what is invisible may be important or most important and this is the reason for which Vedic Jyotish has included Rahu and Ketu among navagraha. Rahu and Ketu form an important part of navagraha as well as vedic jyotish and horoscope making and reading is simply incomplete without Rahu and Ketu because the many big and important yogas of Vedic Jyotish, which can make or break the fate of a person, are formed by Rahu and Ketu in their horoscopes. Hence the system of navagraha has been wisely chosen by the founders of Vedic Jyotish and all the planets classified among navagraha are relevant and important when it comes to making or predicting a horoscope. In many cases the planets or Yogas in the Horoscope of a person are not as bad as they are predicted. Many people are told that there are very Bad Yogas in their Horoscope like Pitru Dosha, Kuja Dosha, Sarpa Dosha and some other ones. All these Concepts of Vedic Astrology have been Misinterpreted from time to time by some astrologers who were not aware of the true details of these concepts of Vedic Astrology and how to judge them properly in a Horoscope. 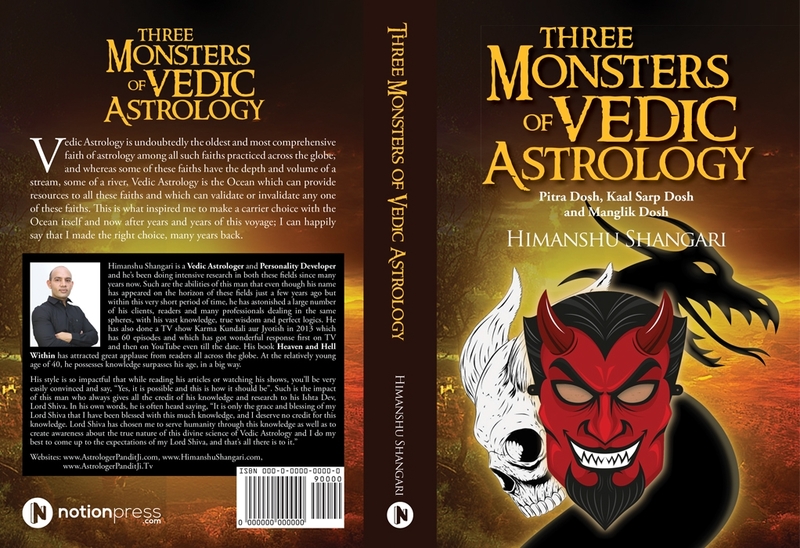 So I will analyze some very important concepts of Vedic Astrology and their true effects as I have found them in actual practice.We will also have a look at Vedic Astrology from Scientific point of view. Therefore my first advice to everyone reading this article is that don’t be afraid that you are not fit for marriage just because of the fact that some Astrologer has told that you have Kuja Dosha in Your Horoscope, Don’t be afraid that there are concepts like Sade Sati and Sarpa Dosha and some other Bad Yogas like Pitru Dosha and in Your Horoscope and you will not be able to achieve success in Life, Marriage, Romance, Profession, Education and so many other spheres of life. It simply does not work like that. God Almighty has blessed most of the people with talents and Good Yogas. So instead of being afraid of the Bad Yogas in your Horoscope, which may actually not be there, All you need to do is, find out about the good Planets and Yogas in your Horoscope with the help of Vedic Astrology and know how to take advantage of them to make your life Happy. There are surely some Planets or Yogas in most of the Horoscopes which are not favorable to the native like Sarpa Dosha, Kuja Dosha and Pitru Dosha and thus they cause Setbacks, Losses, Diseases, Delays and Misfortunes in Life. But in many cases the bad effects of these Planets or Yogas can be Controlled or Reduced to great extents with the help of Vedic Astrology by means of specially prescribed Astrological Remedies which usually involve donating some specific things to some specific persons or places and offering specifically told things to specifically mentioned Gods and Goddesses which reduces the bad effects of Malefic Planets. And in some extreme cases some Mantras are prescribed to the affected person according to Vedic Astrology which should be chanted a specific number of times everyday to reduce the effects of some very bad Yogas like Sarpa Dosha and Kuja Dosha. On the other hand there are some Planets or Yogas in most of the Horoscopes which are favorable to the native and thus they can give Mild to very Positive Results depending upon there Strength and Placement in the Horoscope. These planets do not bless the native with their full fruits if they are weak, afflicted, or Badly Placed. In such cases, these planets are made strong with the help of Gemstones which can absorb particular wavelengths of different planets and transmit them into your body and thus strengthen a weak planet. A Gemstone can do wonders for a person if the right Gemstone and the right Weight of Gemstone is chosen for the native with the help of Vedic Astrology by analyzing his horoscope. The powers of Gemstones are far above and beyond most of the other measures taken to strengthen the planets in Astrology. But the most important thing to notice is that Gemstones should always be worn on the advice of an Expert Astrologer who knows very well as to which gemstones are suitable for a person according to his horoscope and who also knows exactly which Gemstone is required to produce a particular effect for a person. For example a particular Gemstone may get you married if your marriage is being delayed or it may bring happiness to your married life if you are already married but the same Gemstone may not be able to bring you Success in Professional matters or Education. For that you may need some other Gemstone. So it is the job of an expert astrologer practicing to prescribe the right Gemstone for you depending upon your problem in question. However it should be noted carefully that Wearing a Gemstone which is not suitable for you can do very bad things to you in all spheres of life. It can even bring about some very serious diseases, disturbance in Marriage, Financial Losses and so many other undesired effects. So never wear Gemstones on your own. Always consult someone who is an expert in the field and can prescribe the right Gemstones after analyzing your Horoscope.The bad effects of planets working negatively in your horoscope and the effects of any strong dosh like Sarpa Dosha, Kuja Dosha or Pitru Dosha can be reduced with a combination of Gemstones and astrological remedies like charities, mantras and poojas. Astrological remedies are also necessary along with the gemstones to reduce the effect of a dosh when it is very strong and particularly if it is Sarpa Dosha. This is perhaps the aspect which leads the charts in Indian astrology when it comes to misconceptions in different sections of astrology. Most of the people interested in astrology as well as many astrologers themselves are deceived in predicting the formation of a good or bad yoga in a horoscope. Many people and astrologers think that the presence of a particular planet in a house or the combination of two or more planets by placement or aspect is the only thing required to predict the presence of a Yoga in a horoscope. For example, a Kuja Dosha is considered to be present in a horoscope by most of the people as well as many astrologers, just by the placement of Mars in the houses 1,2,4,7,8 and 12 of a horoscope counted from the Ascendant and it is considered that the people having such placements of Mars in their horoscopes are all having a Kuja Dosha in their horoscopes and are going to suffer with delayed and disturbed marriage which may even lead to a divorce or death of the spouse. In the same way many astrologers think that if all the seven planets namely The Sun, The Moon, Jupiter, Venue, Mars, Mercury and Saturn are placed between Rahu-Ketu Axis in a horoscope, a Sarpa Dosha is formed in that horoscope which is capable of doing serious damage to the person having Sarpa Dosha in his horoscope in all spheres of his life which may include career, marriage, producing children and many other aspects of life. The above mentioned defects namely Kuja Dosha and Sarpa Dosha are indeed capable of doing serious damages to the person suffering from them. But the important thing to consider is that the placement of Mars in the above mentioned houses in a horoscope is just the primary condition for the formation of Kuja Dosha in a horoscope and it is not the final confirmation. In the same way, the placement of all the seven planets between Rahu-Ketu axis is the primary condition for the formation of Sarpa Dosha in a horoscope and not the final confirmation. Once the primary condition for the formation of a defect is present, it is further checked for the confirmations. And if the confirmations are all present in a horoscope for the formation of a defect, only then the defect is formed and then its strength, field of impact and timing of impact is calculated to predict the results. Moving on to some of the Yogas which are considered very good in Vedic astrology, the same thing is true for predicting a good yoga also. For example one of the most famous and auspicious yogas in Vedic astrology is GajaKesari Yoga which is considered to be formed if Jupiter is placed in 1, 4, 7 or 10th house counted from the house where Moon is placed in a horoscope. To simplify, if Moon is placed in Aries in a horoscope, the native is said to be having a Gajakesari Yoga in his horoscope if Jupiter is present in any one of the signs namely Aries, Cancer, Libra and Capricorn. In the same way a BudhAditya Yoga is said to be formed in a horoscope if the Sun and Mercury are present together in any house of a horoscope. The meaning of Budh is Mercury and that of Aditya is the Sun, so it is a Yoga formed by the Sun and Mercury in simple language. The native having this yoga present in his horoscope is considered to be blessed with great intelligence and benefit particularly from the house of government. However it is important to note that in both of the above mentioned Yogas, the conditions described above are just the primary conditions for the formation of these Yogas and they do not mean the confirmation of these Yogas in a horoscope. And seen scientifically , the primary condition for the formation of GajaKesari Yoga in a horoscope is met in every third horoscope on an average, as it is formed due to presence of Jupiter in one of the 4 houses among the 12 houses of a horoscope which becomes one third. Gajakesari Yoga is a very powerful Yoga and it is capable of blessing the native with great wealth and fame which is obviously not seen in case of every third individual. In the same way, the Sun and Mercury are placed in the same sign in almost every second horoscope as the Sun and Mercury move usually very close to each other. This would mean that every second person in this world is very intelligent and getting good benefits from the house of government, which is again not seen in actual practice. And it would again lead us to the fact that a particular combination of planets in a horoscope for the formation of a Yoga is only the primary condition and not the confirmation for predicting the Yoga in that horoscope. Most of the people told to be having GajaKesari Yoga in their horoscopes are not rich at all and on the other hand many of them are suffering from poverty or belong to the middle class and are far away from fame. In the same way, most of the people told to be having a BudhAditya Yoga in their horoscope are far away from being very intelligent and are not getting any major benefits from the house of government. And same is the case with all other good and bad yogas. This is all because of the fact that the functional nature of the planets involved in a Yoga is the foremost thing to be seen for the confirmation of a Yoga. If any of the planets involved in the formation of a good yoga is working negatively in that horoscope, the positive yoga is not formed at all and on the other hand the yoga becomes negative in which case the significances ruled by the positive planet would suffer due to the bad effect of the negative planet. For example, suppose a combination of the Sun and Mercury is present in a sign in a horoscope satisfying the primary condition for the formation of BudhAditya Yoga. The first test done for the confirmation is to check whether both the Sun and Mercury are working positively in that horoscope or one of them is negative. If one of them is working negatively in the horoscope, the positive yoga is not formed and instead a negative yoga is formed. For instance if Mercury is negative and the Sun is positive in a horoscope, then the result of the combination of the Sun and Mercury in a sign is the formation of a negative Yoga in which the significances ruled by the Sun are affected negatively by the negative effects of Mercury. In the same way the significances ruled by a positive Mercury are affected negatively if the Sun is working negatively in a horoscope and the Sun-Mercury combination is found in that horoscope. And in the worst case, if both of them are working negative in a horoscope, the results of this combination would be disastrous and quite the opposite to the positive effects mentioned for BudhAditya Yoga. A native having a combination of the Sun and Mercury in his horoscope where both of them are working negatively, is likely to be having no intelligence at all or little intelligence and is likely to suffer from defame or people mocking him in general. Now we can see that the combinations look all the same in all the cases, but the functional nature of the planets involved in those combinations can completely change or reverse the resultant effects of the Yogas formed. Therefore a Yoga should not be predicted by only looking at a certain combination of planets which is the primary condition for the formation of that yoga, as the results may be totally opposite to the predicted ones if both the planets involved in the combination are negative. And even if a good yoga is confirmed in a horoscope, it is checked for strength, the field of impact and timing of impact before predicting the results for that yoga. Same is the case with the confirmation of negative yogas. For example, a positive Mars placed in the above mentioned houses of a horoscope does not form Kuja Dosha and instead a Manglik Yoga is formed which gives very positive results and the native having this yoga in his horoscope is blessed with a very good married life with all around happiness. The most important question in astrology is predicting the timing of an event or events. Astrologers have been doing researches on this aspect of astrology more than any other aspect. Why is a person born rich and remains rich throughout his life. Why is a person born rich but looses money and riches at some particular time of his life and leads the life of a poor from then onwards. Why is a person born poor and remains so for the rest of his life. Why is a person born poor but becomes rich at some particular time in his life. Why does a person become Prime Minister or President at a younger age while some other person becomes Prime Minister or President at an Older age. Why is it that a person’s married life is disturbed right from the start while some other person enjoys it for 10-15 years and then suddenly it falls apart. Why do diseases appear at different times in different people’s lives. And there are many such questions. The answer to all these question lies behind the curtain of Sleeping Yogas and Waking Yogas. And before we go any further let me explain the simple meaning of the term Yoga in the context of Astrology for the convenience of Foreign readers. Let’s now try to understand this concept with the help of some simplified examples and case studies. The first case is the case of a male born in 1967 in India (complete details are not being mentioned to respect the privacy of the client). This person has a bad Yoga formed by bad aspects of Jupiter in his horoscope. As a result of this Yoga his marriage should be delayed and disturbed. There should be problems with his income issues and some more bad effects are indicated. But this person married at an early age and is having two children. His married life was normal and his business was gaining strength year by year. He even purchased his own house from his income and was having a good bank balance as well. And then suddenly with the rise of year 2004, the problems starting surfacing for him. He started having major disputes with his wife and his business started to go down. His family life and business started showing the results which were predicted at his birth by some astrologers, only the timing was wrong. Many of the astrologers he consulted told him that his marriage would be delayed and he would face income related issues right from the start of his carrier. But those things did not happen at all till the rise of year 2004 and then suddenly all of those things started happening. What is the mystery then, why were the results of this bad Yoga delayed for this person. The answer to this question is that the above mentioned Yoga in this person’s horoscope was a Sleeping Yoga till the end of year 2003 and as the year 2004 started, the Yoga woke up and all the predictions started becoming true. Second case is the case of a Male born in India in 1962 who is witnessing some very good and some very bad Yogas in his horoscope. But the first Yoga we’ll discuss is the bad Yoga formed by Rahu (North Node) and Ketu (South Node) which is supposed to give disastrous results regarding his married life and partners. And in this case the Yoga is Waking right from the birth and as a result, this Male presently at the age of 47 has already lost 4 wives, two to death and two to divorces. And regarding some of the other Yogas present in his horoscope, a couple of good Yogas made by Sun, Mercury and Mars were present and Awake from the birth which as a result blessed him with very good business and he has obtained many valuable properties at different stages of his life. And then there is another Yoga formed by Saturn present in his horoscope which is supposed to give him legal troubles regarding his properties. But this Yoga was sleeping till the mid of Year 2000 and as a result he was only gathering properties and nothing was bothering him in this regard. But as the Yoga Woke up in 2000, he suddenly witnessed litigations on a couple of his properties and from that time onwards he has gained some new properties due to the effect of the good Yoga, and at the same time, more than half of his properties are facing legal disputes and the matters are pending in different courts. And he is planning to marry for the fifth time in the coming future. Then there is the case of this female born in 1978 in India who has a bad Yoga formed by Rahu and Ketu in her horoscope which is mainly supposed to delay or disturb her married life. And as this Yoga is activated right from her birth. This female has not yet been married in spite of at least 25 marriage proposals being discussed and failed for her. Quoting one more case of a Male who was born in 1968 in India in a middle class family and kept on living a middle class life till the year 1995 and then suddenly he managed to go to Germany and started getting rich. And he is very well established now. But due to presence of an active Kuja Dosha (a defect formed by Mars) and some bad effects of Saturn, this male is still officially unmarried. The essence of the above discussion is that timing is a very important aspect of astrology and it is deeply affected and dependent on the activation of the Yogas present in a horoscope. You’ll be surprised to know that many astrologers are actually able to tell good or bad things that may happen to you. But as they are not able to calculate the Wake up time of a Yoga so the timings get wrong and the whole thing does not make any sense any more. But many of the good things or bad things told to you by an astrologer may come true in the later parts of your lives as they are able to read the effects correctly and it is only the timing that is missing.